How are the roads to the campsites? Florence Lake Forest Service Road is an active industrial road. It is gravel and has bumps and potholes. It can be muddy after heavy rain and dusty during the dry season. Good tires are recommended to avoid flat tires. Sayres Lake has a steep hill for the last 2km, all types of vehicles get up there but depending on your setup you may need a 4wd. Can I fit my trailer on a particular campsite? The sites vary greatly in size and shape, and it depends on how good you are at maneuvering your vehicle. We recommend that if you are unsure about fitting in a site or unsure about the road conditions and suitability of your rig that you drive up and look for yourself. We have divided the site sizes into three categories, but it is difficult to specify if you can fit due to the range of factors involved. Go to the campground pages on this website and see the maps of the campsites. Click on each site number for more information about the size and other site specifics. Are there flush toilets at the campsites? There are no flush toilets at the campsites, there are pit toilets for washroom facilities. These are rustic campsites, none of the sites have electricity, sewer or any type of water tap. You must bring your own water. Is there running water at the campsites? There is no running water at the campsites. You will have to bring your own water to the sites. These are rustic campsites, none of the sites have electricity, sewer or any type of water tap. The sites have pit toilets for washroom facilities. Is there firewood available at the campsites? You can bring clean firewood to the campsites. No pallets, wood with nails or screws, painted wood, plywood, pressure treated wood, or oversized pieces. Leave your giant log rounds at home, you cannot split them, and then the Host is left to deal with them. Take your wet firewood home with you. We try to supply firewood for sale at the campsites, but we do get sold out sometimes. Is there cell phone service at the campsites? There is no cell phone service at the campsites. Sometimes spotty reception is available down by Stave Lake, it is not reliable. Reservations start on April 9th. Reservations must be made not less then 7 days prior to arrival date. The campsites have dedicated RESERVED sites and dedicated FIRST-COME FIRST-SERVED sites. If a reserved site is not occupied, you should look at the reservations sign posted on the table to see what date the next camper is arriving. You can occupy the site until the morning of the next arriving reservation. A one time reservation fee is charged per reservation. This is in addition to your regular camping fees. Reservation fees are $17 per reservation. You cannot make a change to your reservation. You can cancel your reservation and re-book. Please review the reservation policy for cancellation information. Can I make a reservation for earlier then I want to camp, then setup a tent or trailer and come back later? Can I change my reserved site if a better one is available when I show up? Reservations are non-transferable. If you arrive to the campground and want to switch from your reserved site to a different available site, you can switch to that site, but you will have to pay the camping fees again for the new site. You will not get a refund for your fees paid on the site you had reserved. Your reserved site will be rented to first come first served campers. Can I ride my off road vehicle in the campsites? Sayres Lake - No Off Road Vehicles allowed in the main campsite area. You must park at the top near the Host site. ORV's are allowed in the three group areas at the top near the Host site. You must have insurance and a helmet and follow all provincial regulations. 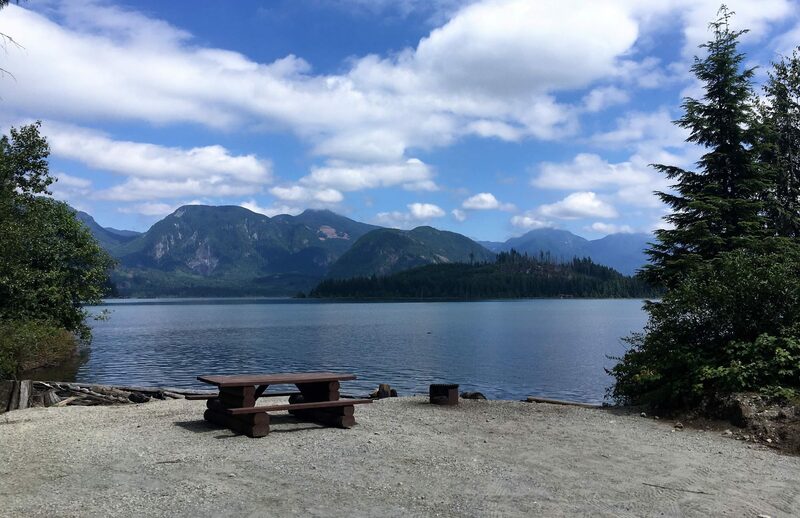 The campsites are not for cruising around though, so you are limited to riding into your campsite and out of your campsite to access the logging roads. If you are causing a disturbance the Host will revoke your privileged and you will not be able to ride in and out of your campsite any longer. You will have to trailer your ORV in and out. If you are not camping at the campsite you will not be allowed to drive your ORV through the site to take a look. It causes to much noise, dust and stink. You will be able to park near the Host site and walk around to take a look. What are the rates for Long Weekends? Pets are allowed, they must be well behaved, not loud, under control at all times and in close proximity to their owners or their campsite. They must be leased if required. The Host can direct you to leash your pet. How many people are included in my campsite fee?